Tea eggs are old school Chinese fast food and all kinds of vintage goodness! A hard-boiled egg is one of nature’s perfect foods – portable, nutritious, satisfying. Solo it's boring. Infuse it with a bit of tea, soy sauce, and anything you'd put in a pumpkin pie - and suddenly it's breakfast magic! I regularly recommend these to patients who are looking to add easy but delicious protein to their breakfast. If you make a batch on Sunday, it will last you the whole week. 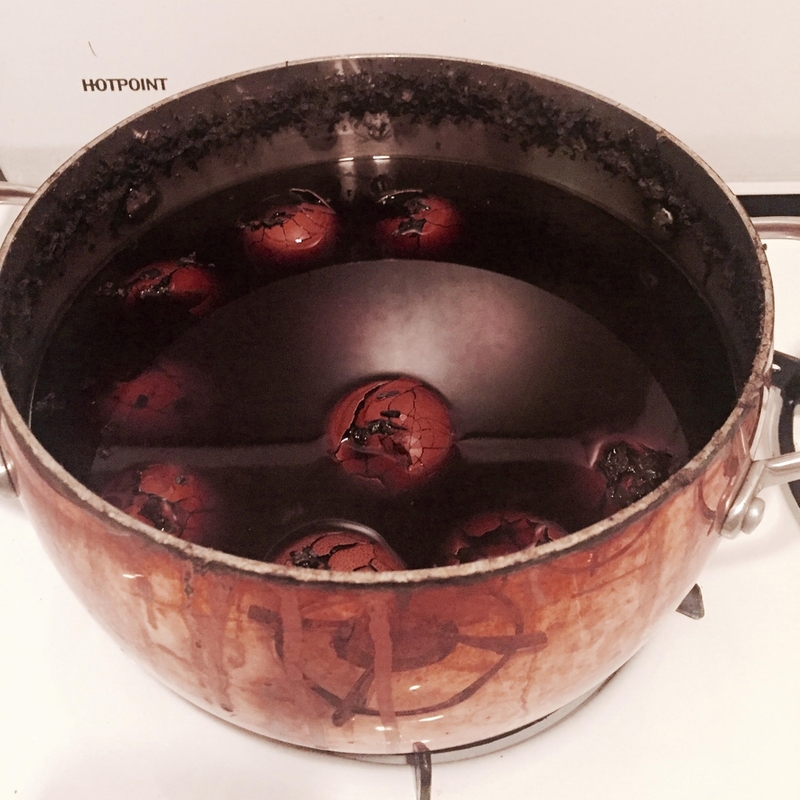 Let the eggs cook in the boiling water for 7 minutes (it’s a good idea to set a timer). Once the timer goes off, turn off the heat, quickly scoop out the eggs, and transfer to an ice bath. Allow them to sit in the ice bath until they are completely cool to the touch. The purpose here is to stop cooking the eggs any further. 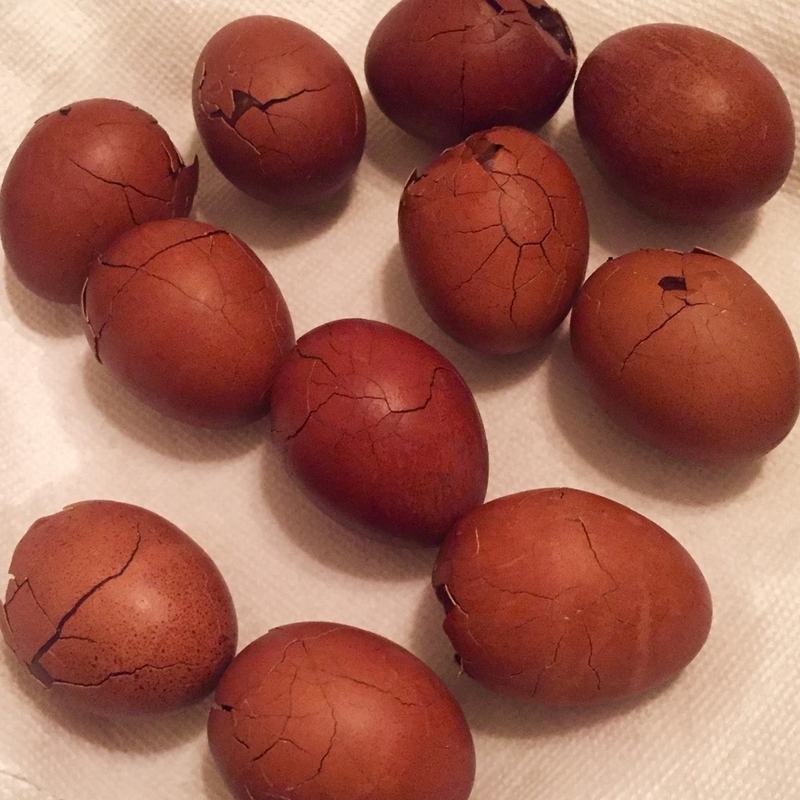 Once the eggs are cooled, lightly crack the egg shells. The goal here is to make enough cracks to allow the flavor of the sauce base to seep into the egg. Put eggs back into a clean pot. Add all the other ingredients and water enough to cover the eggs. Transfer everything into a glass or ceramic container. Leave to steep for at least 12 hours. You may keep in the fridge for up to 4 days. If you prefer eating warm eggs, simply heat up the egg in the liquid. Peel back the shell and dip it in a bit of salt if you're feeling frisky! Have another way of cooking these? A secret family recipe? The more you share, the more people can enjoy the Ova Magic. Hope to hear from you in the comments below.